Hugs and Kisses is a white crelly with red, pink and purple holographic glitters. All nails are 3 coats with top coat. I also added some x's and o's (hugs and kisses!) with Mi Amor to a few nails. I Heart You! 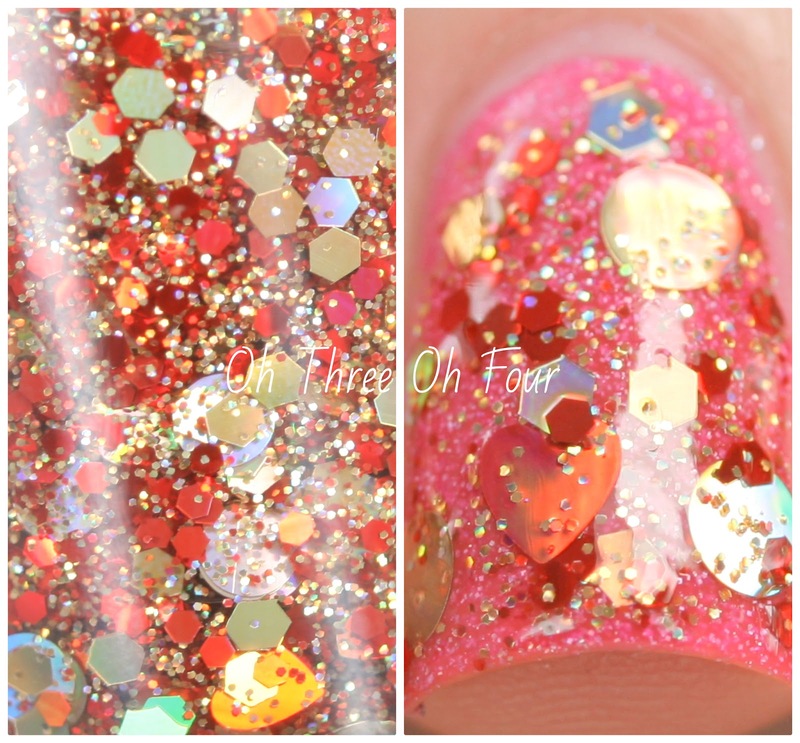 is a glitter mix with holographic red hearts, gold circle dots and ultra fine red and gold glitter. Shown is 1 coat over 3 coats of Mi Amor with top coat. Find these polishes, and more, through Lacquerhead Polish's Etsy shop. While you are there make sure to check out her awesome cuticle oils! They ship free with any order and Buttercream Frosting would be a yummy Valentine Day treat for yourself or someone else. ;) Make sure to follow Lacquerhead Polish on Facebook, Instagram and Twitter!